The Franklin High School Softball Team will be holding a recycling event on Saturday, April 6 from 9:00 AM - 2:00 PM at the Horace Mann Middle School parking lot - 223 Oak St., Franklin and will be collecting returnable bottles and cans and all types of electronic appliance items for a nominal fee. Spring is the perfect time to clean out your closets and get rid of old TV's, CD/DVD players, VCR's, gaming systems, laptops, computers, printers, kitchen electrics, appliances, stereo equipment or anything with a plug! 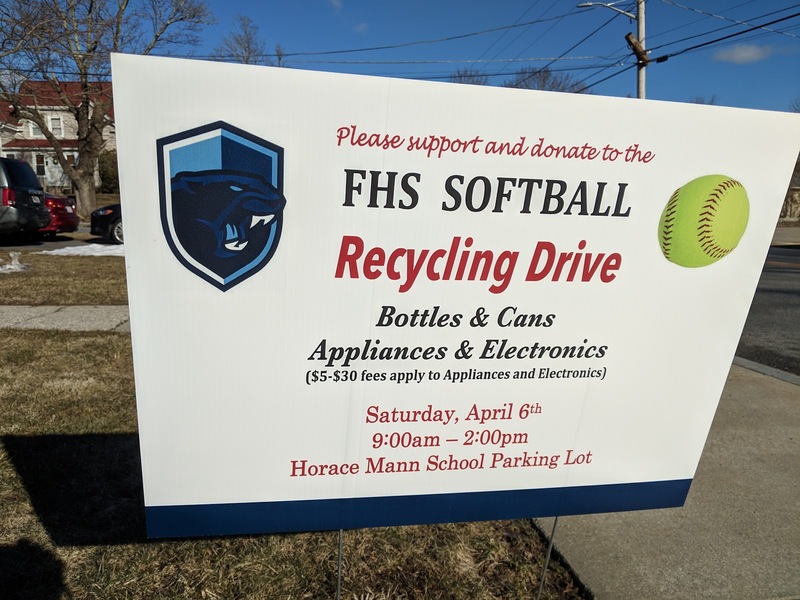 This event is open to the public and is a fundraiser for the FHS Girls Softball Team.